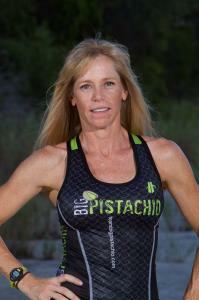 With over 30 years in the fitness industry, Coach Erin Truslow knows endurance sports! Whether you are a beginner looking to cross your first finish line or an elite endurance multisport triathlete, Erin can design a goal driven program that fits your needs and lifestyle. Erin is the dedicated coach of dozens of triathletes from super sprint to IRONMAN in the US and globally. Coaching, Testing, Training, Camps, Workshops & Clinics. See website for details. Racing Career: Erin is a competitive Age Group triathlete, raced USAT National Olympic Championships in 2006, 2013 USAT All American, the 2013 Overall Female winner of the Texas Tri Series and she has dozens of Age Group wins. Most recently she qualified for the Boston Marathon 2017, and is an Ironman Santa Rosa top 10 AG finisher. Certifications and Education: USA Triathlon Coach, USA Cycling Coach, Training Peaks Coach Level 2, ACE Certified Personal Trainer, AFAA Group Exercise & Personal Training, CIAR Advanced Physical Fitness Expert, Johnny G Indoor Cycling, Les Mills Body Pump Trainer, Aqua Aerobics, Kickboxing and most recently a Primal 7 Level 1 Trainer and Dynamax Med Ball Trainer. Success. Coach Erin Truslow has been notified of your message. 7 Trainer Rides To Make You Stronger! To hire Erin Truslow as your coach, select the coaching service that is right for you.